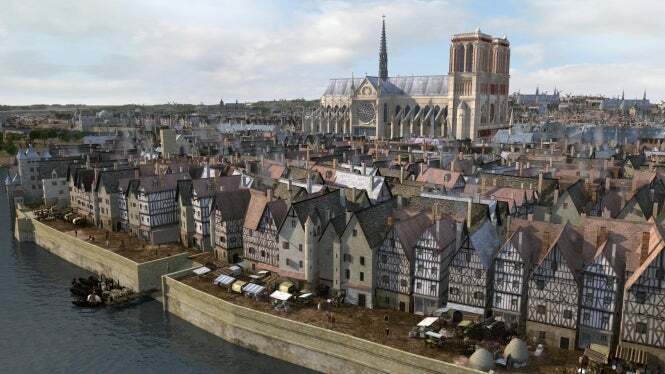 A vivid and colourful Notre-Dame of the Middle Ages has risen from the mists of time thanks to a new 3D film. Paris au Moyen Age walks viewers along the banks of the Seine, through the great squares of the city and around major monuments as they would have looked at the tail end of the Middle Ages. The film uses computer-generated images to show the immense changes that have taken place in the capital over the last five centuries. Images range from a beautiful, multi-coloured representation of Notre Dame, to a more sinister view of the Gibbet of Montfaucon, where criminals were executed and their bodies left hanging as a warning to citizens.